2004 Jeep Grand Cherokee Laredo SOLD!!! 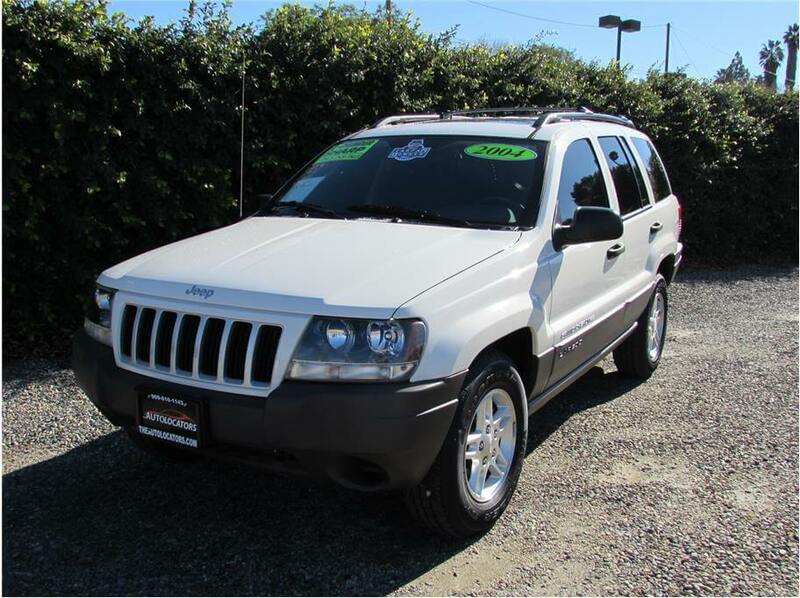 This beautiful 1 Owner 2004 Jeep Grand Cherokee Laredo edition is truly a one of a kind SUV. There is ONLY 1,480 original miles on this entire Jeep, yes you read that right only 1,480 original miles on it! This Jeep Grand Cherokee has the 4.0L in-line 6 cylinder motor, an ..
2007 Ford F150 SuperCrew Cab XLT SOLD!!! This clean 2007 Ford F150 XLT is one good looking crew cab 4x4 truck. This F150 has the great V8 5.4L motor with an automatic transmission and only 98k miles on it. Our lifted 4x4 has a K&N cold air intake, and rear air bags along with factory power windows, power door ..
1997 Jeep Wrangler Sport SOLD!!! 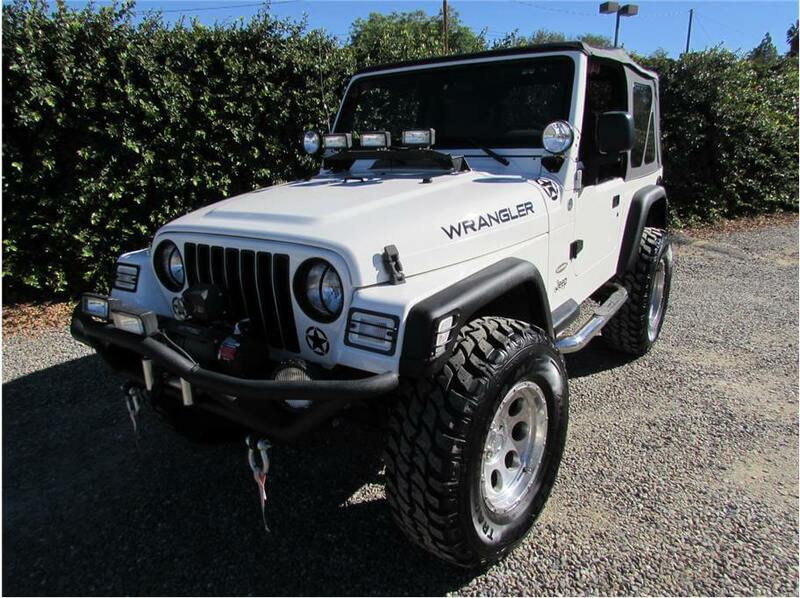 This eye catching TJ is a 1997 Jeep Wrangler with only 93K original miles on it. Our TJ has the strong 4.0L in-line 6 cylinder motor with an automatic transmission. It has a soft top, Air conditioning, Heater, new cap and rotor, and full front doors. 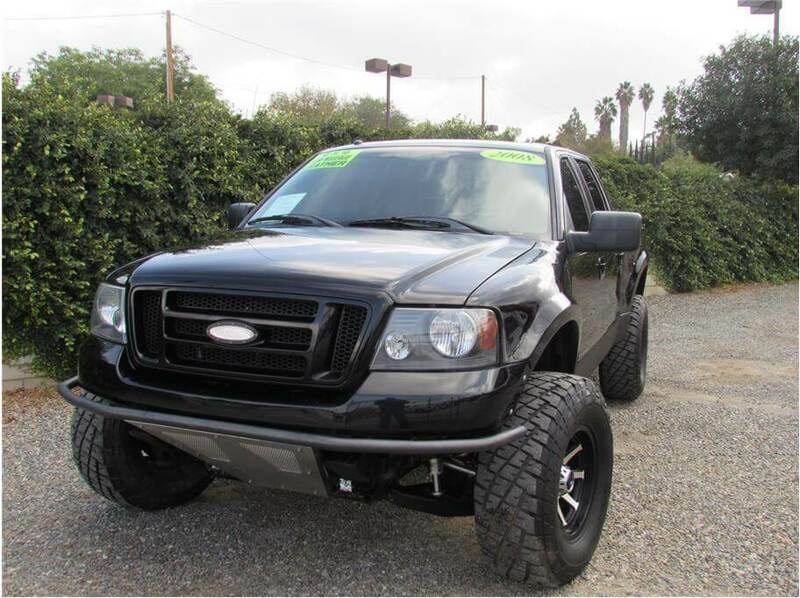 We had our TJ go throu ..
2003 GMC Sonoma Extended Cab SOLD!!! 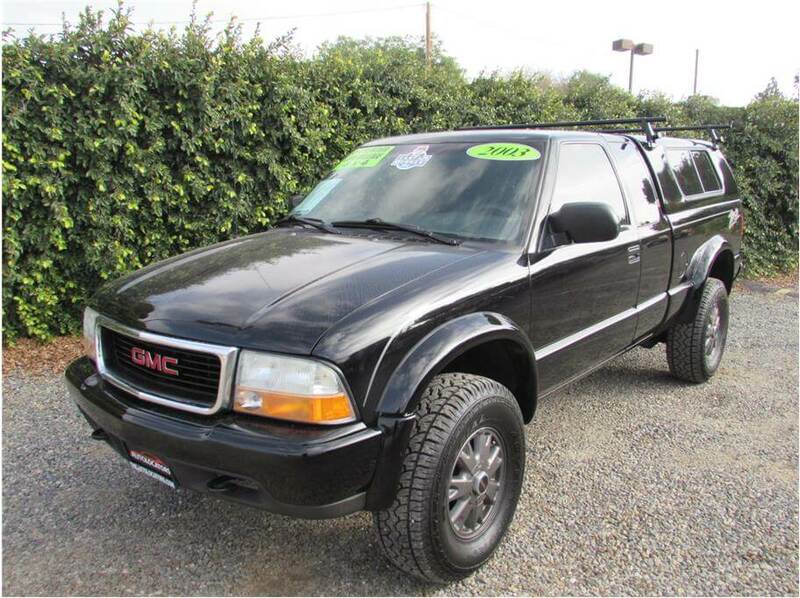 This 1 Owner 2003 GMC Sonoma Extended Cab is clean 3 door 4x4 pick up. With only 71K original miles on it this truck was taken care of and loved. 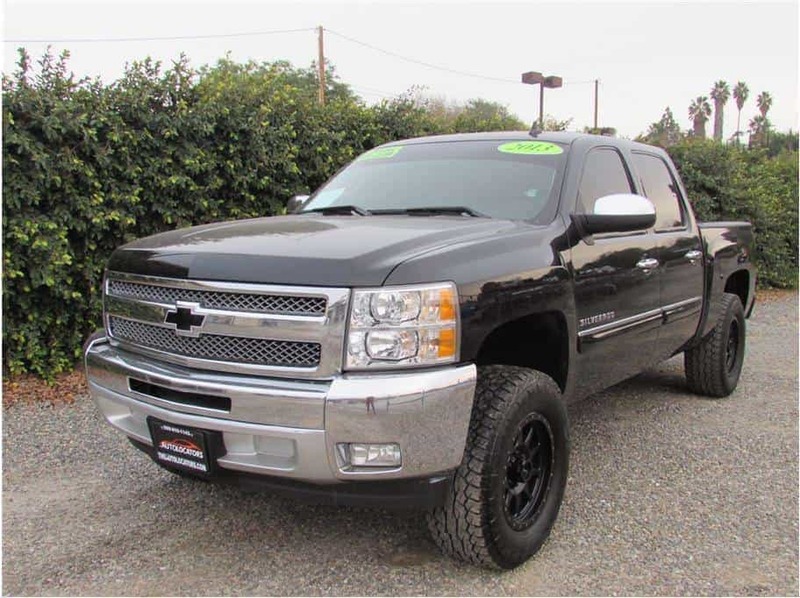 It has the V6 4.3L motor an automatic transmission, a beautiful Onyx Black exterior with a color matching camper shell and Yaki ..
2013 Chevrolet Silverado 1500 Crew Cab SOLD!!!! 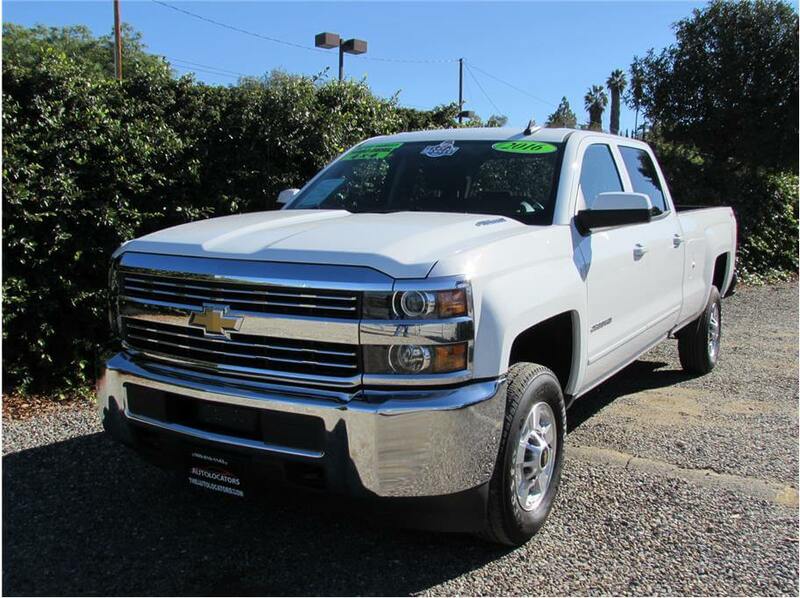 This 1 Owner 2013 Chevy Silverado 1500 Crew Cab is one clean 2WD truck that has 57K original miles on it. It has the V8 5.3L motor with an automatic transmission, a 2 inch CST lift sits on 18 inch Walker Evans wheels with 305x65x18 Falken Wild Peak tires, and has 5:46 gear ..
2008 Ford F150 SuperCrew Cab FX4 SOLD!!! 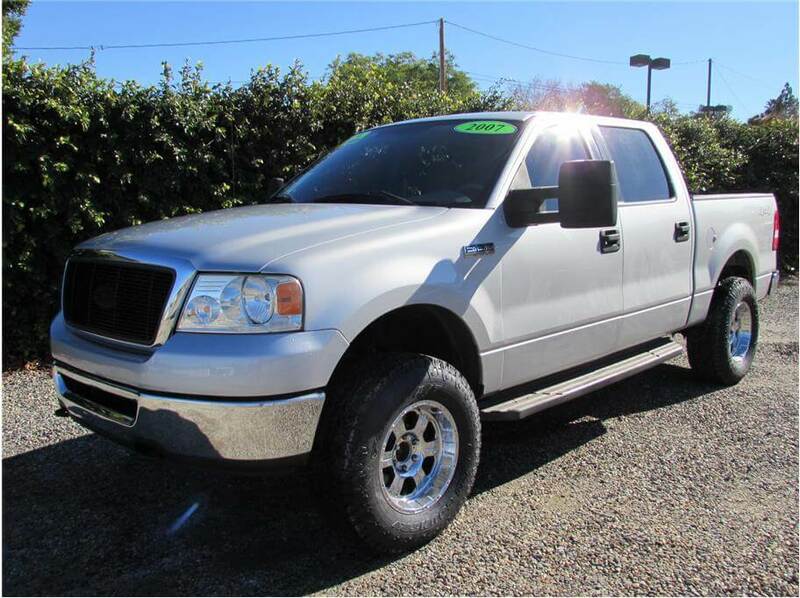 This 2008 Ford F150 Crew Cab FX4 has the V8 5.4L motor with automatic transmission. It has the NCD Mid Travel, Race Runner coil-overs in the front with Air Bumps and limit straps, Custom heavy duty front CV axles with custom billet spacers, K&N air intake, Red top Opt ..
2010 Jeep Wrangler Unlimited SOLD!!! 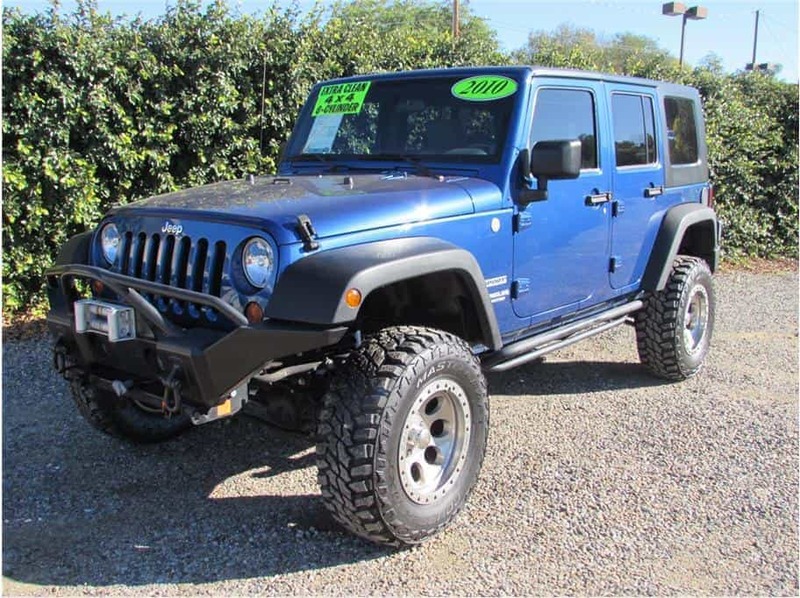 This 1 Owner 2010 Jeep Wrangler Unlimited Sport is one fun Deep Water Blue Jeep, with only 71K original miles on it. This 4x4 Unlimited Sport comes with a 3 inch TerraFlex lift with Bilstein shocks 17 inch chrome Mickey Thompson Wheels with brand new MXT Courser tires, Bes ..
2016 Jeep Wrangler Unlimited Rubicon SOLD!!! This clean 2016 Jeep wrangler Unlimited Rubicon is a great looking modified Jeep, with a color matching white top and only 8K miles on it. This Wrangler comes with the popular reliable V6 3.6L Pentastar motor with a 5 spe ..
2016 Chevrolet Silverado 2500 HD Crew Cab LT SOLD!!! Here at Auto Locators we take trade-ins, and have great financing options for all types of credit, including first time buyers. Auto Locators is a family owned dealership that was established in Southern California for over 14 years. We are also a California Licensed repair shop ..
2006 Jeep Wrangler SE SOLD!!! 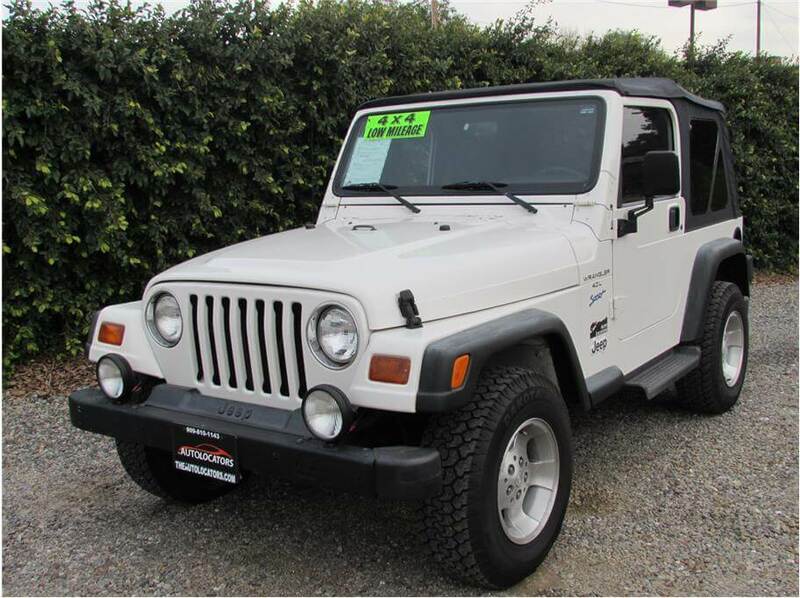 This 2006 Jeep Wrangler SE has super low miles with only 27k original miles. It has the strong and dependable 4.0L in-line 6 cylinder motor, with an automatic transmission and factory Air Conditioning. This awesome Jeep comes with full doors and a set of half doors, a 4 in ..